Being a child throughout the 80’s I saw many fads and toys become popular. I was too young to appreciate the Star Wars toy debacle of 1977. My first brush with this phenomenon wasn’t a toy for me, but rather my younger sister. 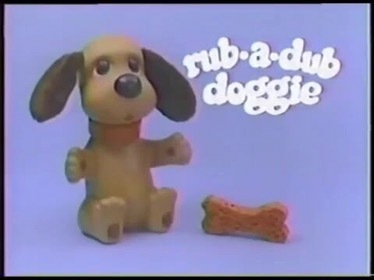 In 1982, my little sister wanted a rub-a-dub doggie for Christmas. It was a plastic dog with fabric ears that came with a bone shaped sponge. The gimmick? On his collar was a lever that you moved back and forth making the dog shake his head causing the wet ears to swing. Water flew everywhere. Great bathtub toy to give a toddler. My father did his best to get this toy for my sister. In a time of no cellular phones or internet, my father used the resources he had readily available. He had an associate from Chicago bring one out during a business meeting in Edmonton. And the toy dog was there, under the tree for her on Christmas morning. The following year, Cabbage Patch Kids hit the stores causing mass riots. A few years later, Teddy Ruxpin caused an uproar as the talking teddy bear that would move his mouth and blink while telling you a story. 1996 had the Christmas of Tickle Me Elmo. 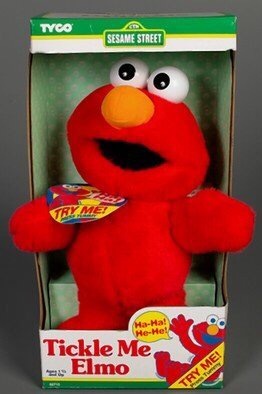 Or as was commonly dubbed- “Tackle Me Elmo” as Store had them flying off shelves and people trying to sell them for $1500 each. Two years later- Furby hit the stores. This year sees Hatchimals as the toy to have (and the Nintendo NES Mini as a close second). But reading online how a child’s Christmas “will be ruined” if they don’t get one is absolutely bonkers in my mind. There’s many more toys that have been huge hits over the years that have been highly sought after- Super Soakers, Ataris, Tamagotchi, the list goes on. One of my favorite toys from my childhood was a tiny plastic race track and a tiny car that I played with all of the Christmas break. It was probably bought at a dollar store, but I loved it. Everyone has heard this before. But not getting a toy won’t “ruin” Christmas. Unfortunately, not everyone thinks like I do. Toys and Christmas go hand in hand. But it shouldn’t be the only thing. Sometimes just having an extra day with the kids can be gift enough. Kids will get over not getting the hottest toy. 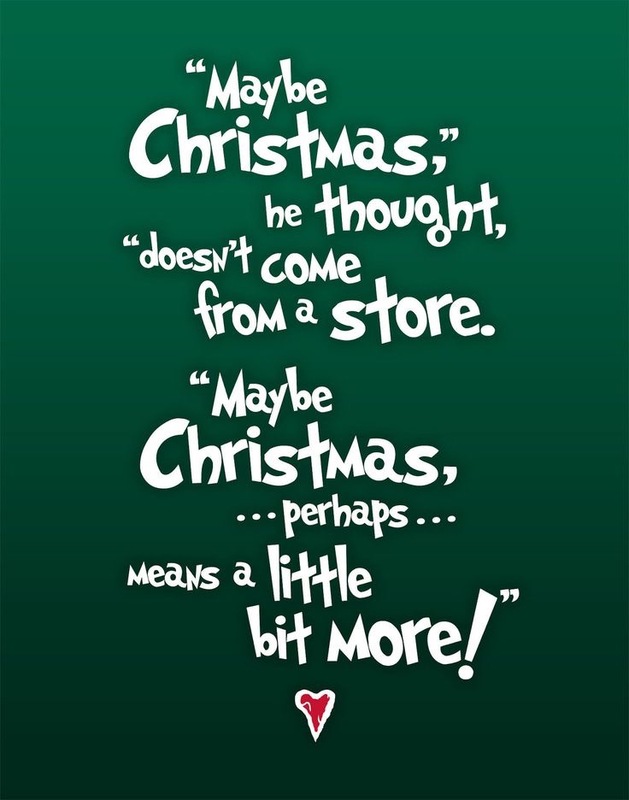 I look back at Christmas with fondness. It was the one time a year that my father was around. He made delicious meals and we all watched tv together. Those memories have lasted longer than any toy has. I hope my children also feel the same towards me.